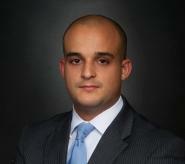 Gabriel M. de las Salas is the head of the first party property insurance litigation division of The Rain Law Firm. He focuses his practice on the representation of insurance policy holders in claims against their insurance carrier. Gabriel began his legal career in Miami, Florida, working for an insurance defense practice where he honed his skills working for the insurance companies and learning their tricks of the trade. Armed with these skills, Gabriel now puts his expertise to work for you, the policyholder, holding those same insurance companies accountable for the promises they’ve made to their customers. Gabriel joined the team at The Rain Law Firm in 2013, and since that time he has represented hundreds of home and business owners prosecuting claims on their behalf against their insurance carriers. Gabriel has represented numerous clients whose claims were initially denied by their insurance company. As a result of his efforts, those clients ultimately received the compensation they rightfully deserved.